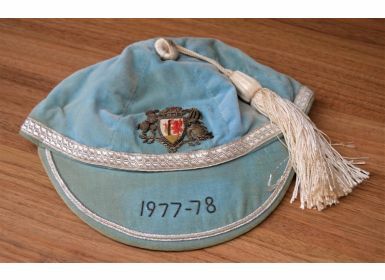 Cardiff RFC Rugby Cap: Classic design, light blue with white tassel, Club Crest and with date to peak. 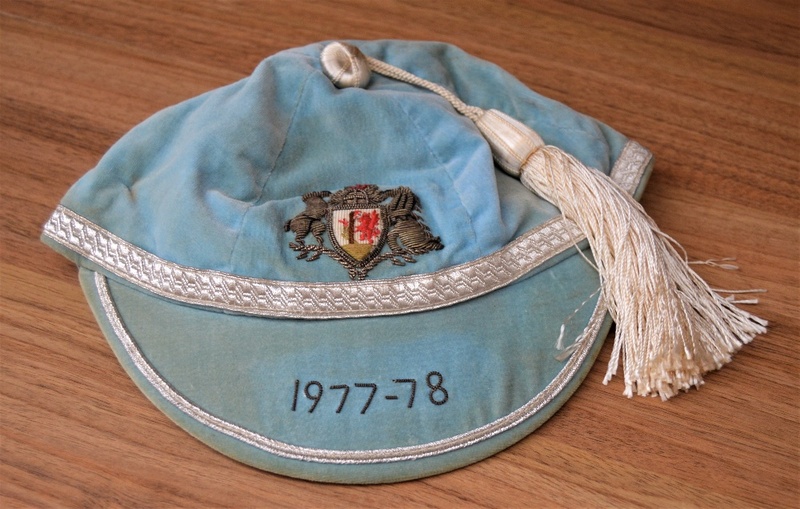 Presented to a Cardiff forward for his qualifying appearances with Cardiff in season 1977-78. Some marks but generally in good condition.